Live In Las Vegas from Brandon Scott on Vimeo. DSB has been highly revered by fans as the “next best thing” to Journey. 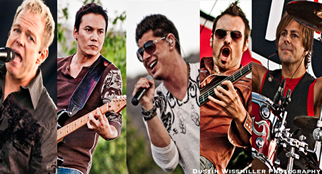 They have captured the lush and signature sound of renowned vocalist Steve Perry and Journey in their prime. Complete with a band of world-class Los Angeles musicians, DSB remains true to Journey’s musical legacy and delivers the nostalgic concert experience that will keep you believin’.